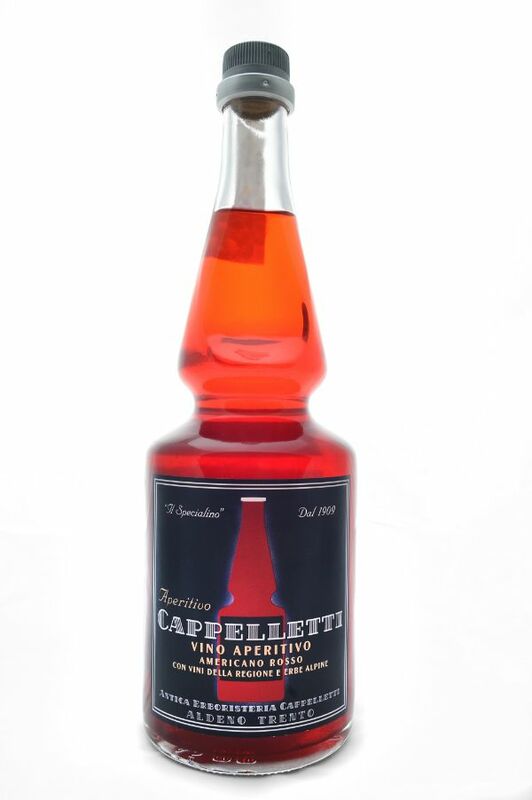 While popular today throughout Italy, the "Spritz", a drink combination of this red aperitif with a sparkling wine and/or soda and a slice of orange, shares a history with Cappelletti in the Triveneto. Cappelletti, the venerable 4th generation creator of this product and numerous other aperitivi and amari, is situated in the hear of the Dolomites near Trento. Legend has it that during the time of WWI, soldiers of the Austrian Empire would order the spritz to enliven and add depth to the local bubbly. This soon became a specialty of the region. Indeed the the Aperitivo Cappelletti is also called "Specialino" and may be the oldest of its style still in production. It offers a vibrant and flavorful profile, complimented by bitter undertones on a traditional wine base.